Is the G Gauge train set really worth the money or is it all hype? It’s not always easy to explain why many people are still fascinated over model trains. It’s a relic of a bygone era, and model trains have been around since Queen Victoria ruled the British Empire. Lionel, the iconic manufacturer of model trains, has been leading the industry for more than a century. For the last few years it has offered the G Gauge Train Set to kids as young as 4 years old. Although many famous fans are getting along in years (like rock stars such as Rod Stewart, Neil Young, and Roger Daltrey), Lionel makes sure that young children get an excellent introduction to the world of model train sets. Of course, the Lionel G Gauge train set isn’t really a model train. It’s a toy train, and there’s a world of difference. This explains the affordable price for G Gauge train sets. But with the G Gauge trains children may begin to see and understand a little of what makes miniature trains so endlessly fascinating. First of all, the G Gauge trains come in many different styles. Options include the Pennsylvania Flyer, the Crayola G-Gauge Freight Set, the Snoopy Railways, the Polar Express (based on the movie), Coca Cola Holiday, Hershey’s, Harry Potter, and a few more. That kind of variety means that if you begin to get the urge to start collecting model trains, you can start with toy trains first. Even just the G Gauge train sets offer plenty of variety. 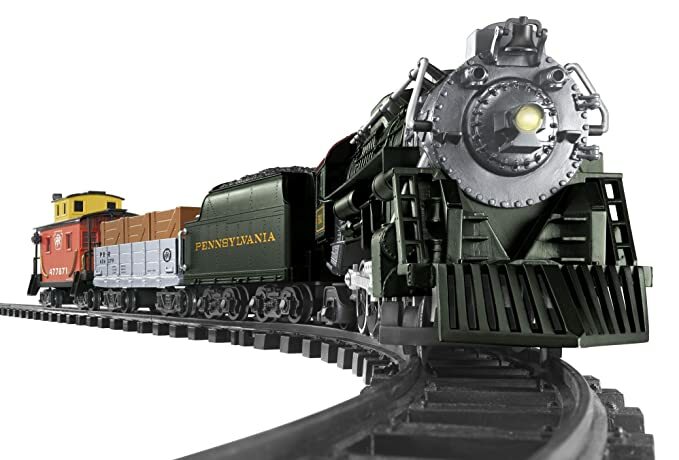 What sets aside the Lionel G Gauge train set is that even though it is a toy, it’s been made with a lot of care and attention to detail that older model train fans will surely appreciate. First of all, the construction and the paint job are exquisite. It really does seem realistic. It’s as if a real train set was zapped with a shrink ray gun. You also get fixed knuckle couples are removable crates, doors open on the boxcars, the headlights are working, and you may even have miniature action figures such as conductor and boy figures to go with it. But that’s just the start. What even the sounds it makes seem real and authentic. With the remote control, you can sound the whistle and ring the bell. It even plays a special song (such as “All Aboard the Polar Express”). It chugs along nicely when it runs. When it stops it makes the same hissing and sighing sounds a real train makes. And of course, it also moves. The remote control lets you set it for three speeds, and it can go backward and forward. The speeds are just right so that it’s not boringly slow, but no too fast that it derails when it turns around the oval track. And when you stop it, the train slows down gradually like a real train does. It doesn’t stop on a dime, like some RC cars do. The G Gauge trains runs on batteries, and it comes with track parts that allow you to make an oval or circular track. You’ve got a steam locomotive along with an assortment of cars. Since these are toys, one of the first things that parents are concerned about is its durability. While the G Gauge trains from 5 or 6 years ago had quality control issues, for the most part Lionel has made a point to improve the durability. So instead of having a train set damaged during the delivery, in most cases you get a G Gauge Train Set that can take abuse from children. Parents report that the train cars have been banged, the remote controller has been dropped, the engine has been bashed, and they can still run quite well. And these toys are perfect for children who like to imagine and act out various stories. After all, that’s what action figures and dolls are for. And all these action figures have a train set as an exciting setting for whatever amazing adventure the kids have planned out. The good news is that if your boys imagine Godzilla moving into town, the train set can take the hits! For older fans, what sets the Lionel G Gauge train set is the realism. After all, Lionel makes model train sets for people obsessed with the tiniest details. 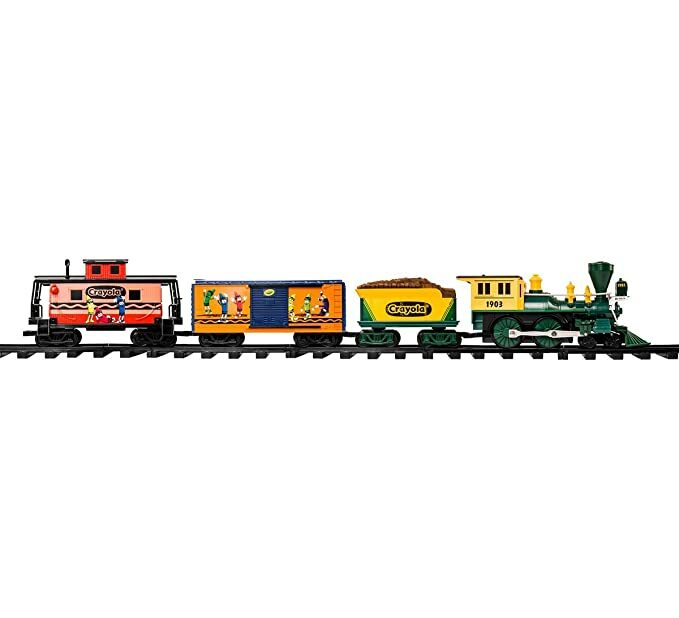 The company couldn’t help but make sure that even their toy trains are faithful to real trains. There may not be a real Harry Potter or Snoopy train, but at least they speed up gradually and slow down gently just like real trains. Of course, it’s not perfect. It’s a toy, after all. There may still be issues with the quality when you get it—most of the negative reviews are about receiving damaged goods, and not about the performance of the Lionel G Gauge train set itself. You’ll also need to use the right batteries. Alkaline batteries work best, and you can use a compatible 9.6v rechargeable battery. That should give you about 10 or so hours of continuous use. This is an excellent toy for children, who may be fascinated by a moving toy that’s outside their TV or tablet games. Of course, it can be used as décor. During this holiday season, putting it under the Christmas tree is a favorite way to spruce up a living room. But it’s still a toy, and as a toy it’s excellent. It allows your children to imagine stories. The G Gauge trains offer an exciting setting for whatever narrative they can come up with. It’s even educational, as your children seen an archaic form of transportation that once transformed the whole world. Your children may graduate from the G Gauge Train Set to model trains. But that’s not the real point. The real point is that your children will have lots of fun with this toy. They can learn many new things along the way. What more can you ask of any toy? I highly recommend first getting the Lionel Polar Express train set to anyone who wants to get started with a G-Gauge. 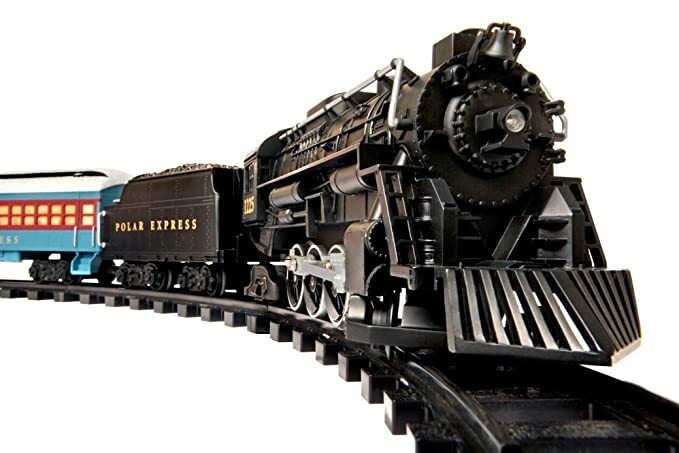 It’s the number one best seller in hobby train sets with over 1,000 reviews and climbing.